Day 1: Check in at the Emerald Queen Casino in Fife. Relax and get settled for the fun evening ahead. Once ready head downstairs to play some slots. 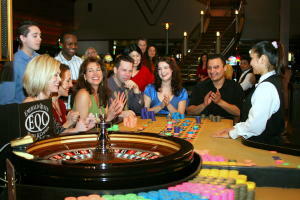 After a few triple-sevens grab the free shuttle to the other Emerald Queen Casino location and continue the gambling with Roulette, Craps, and even more slots. Once finished playing, grab the shuttle back to your hotel room and take a rest. After getting refreshed, grab a bite to eat at a local favorite, Pick-Quick. 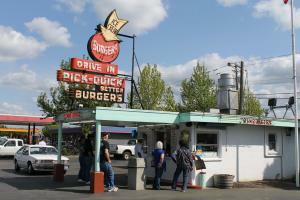 This old-time fast food place is known for its burgers, fries and shakes. Next, head back to the hotel to get some rest after a good day of fun. Day 2: Take your time waking up, and start your morning with a little breakfast at EQC&apos;s respected Tatoosh Grill. Next, head to downtown Tacoma for a day of fun. Take a walk down Antique Row and buy some new treasures with your winnings. After finishing up your shopping, grab lunch at Stink, a great restaurant with delicious sandwiches, salads, mac-and-cheese and more. Once full, head to Dorkey&apos;s for some arcade time. They have all sorts of games from Space Invaders to new games like Fruit Ninja. Grab a beer and play for a few hours. Then walk over to Fireman’s park and take in the view over Commencement Bay. For dinner stop at the Matador for some delicious Tex-Mex. Finally, head back to the EQC to do some late night gambling and then get some rest. 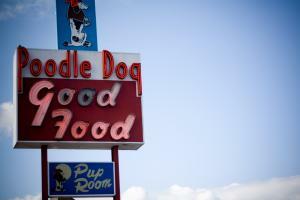 Day 3: You can’t come to Fife without eating at the Poodle Dog. Make sure to head there and grab some delicious homemade breakfast. Once finished, head back to the EQC to check out and head home.